Developers of the Paradise Circus development have given the clearest insight yet into its future with a video flythrough. Developer Argent updated business people in the city about progress of the scheme this morning, with work on the ground a matter of months away. Director Rob Groves said major progress has been made and demolition work will begin in earnest next year. 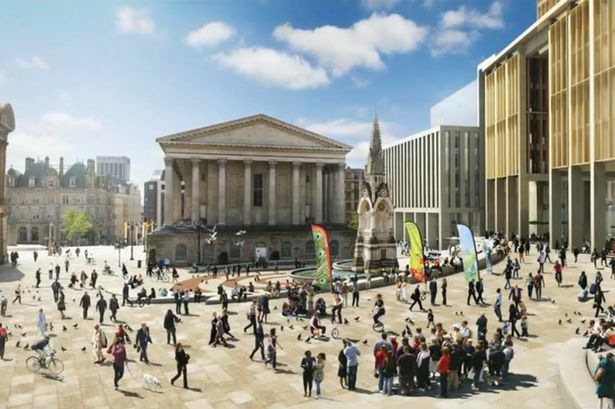 The flythrough shows how the proposals will fundamentally change Birmingham city centre, with more public spaces and greater pedestrian routes throughout. Mr Groves said: “This is a milestone, because we have finished a part of the process and now we can start building. “If you think of what we have achieved along with our partners Birmingham City Council, the British Telecom Pension Scheme and Hermes, we have seen off some significant milestones.